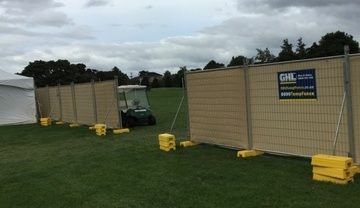 Temporary Fencing Hire for Events : "On Time, Every Time"
GHL TempFence is the market leader in event fencing hire. We've long been the 'go to' temporary fencing company for a huge range of events; including school balls, sporting events, functions, parties, festivals, carnivals, concerts and exhibitions. These events and functions have required anything from 20 metres through to events with in excess of 3000 metres. Planning an event or function using quality temporary fencing is an integral part of the success of your event to ensure it runs efficiently. A big part of the success of any event or function is ensuring the public, patrons and clients are kept safe. Security fence hire will safely manage visitors, pedestrians and vehicles. Event fencing also keeps the non-paying public away when required. Also critical to any event is the Pack In and Pack out on a timely basis. GHL TempFence has both the resources and a can do professional crew that will work with you to set up and dismantle temporary fencing On Time, Every Time to ensure everything is completed to your deadlines. Our 1.1m high crowd control barriers are specially designed to provide a smart looking, professional image for your event which puts safety first. These fences are sometimes referred to as 'bike rack' fencing and provide a quick and efficient solution for marshalling the general public, directing pedestrians, forming lines for queues or fencing off defining areas where full height temporary fencing isn't necessary. These low level sturdy barriers are lightweight and literally just hook together making them very quick and simple to install. With our extensive experience of providing temporary fencing and crowd control barriers for events, GHL TempFence can advise you on how much fencing you'll need to fence off the perimeter of your event. We can also supply temporary fencing shade cloth to provide privacy and security for your site plus substantial bracing when installing the shade cloth to ensure the stability and safety your temporary fence. 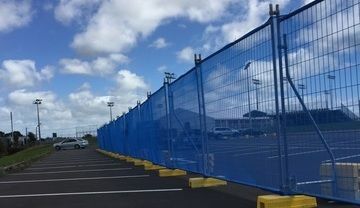 We are an Auckland Temporary Fencing business predominately servicing from Mercer to Mangawhai including Auckland, Franklin, Counties, Waitakere, Hibiscus Coast, Eastern Suburbs Franklin, Manukau, East Auckland, West Auckland, Auckland CBD, North Shore, and Rodney District. 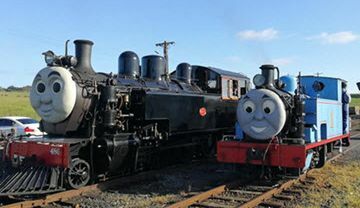 Depending on your requirements we can also assist from Hamilton to Whangarei when required.